These women's bibs have the classic look of our duck overalls, but with a soft stretch-canvas construction that gives you full freedom to move. The zip pocket on the chest is large enough to fit a phone, and the several slip-in pockets have various sizes to accommodate your different tools. A double layer at the knees increases the durability factor plus gives you a place to stick your knee pads. It still boggles my mind that most womens work pants have no stretch all together. These are great that they have enough to move with you while you bend, climb, lift and carry! I am feeling frustrated that the "tall" size does not also extend the length of the torso. 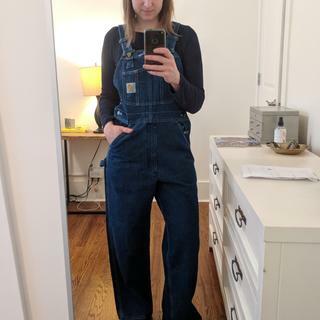 I'm 5'9.5" so I'm on the taller side (but not even that tall), and I was really looking forward to finally getting myself a pair of work overalls. These were too tight on the crotch, even after extending the straps all the way. I see that other people have left similar reviews. Hoping Carhartt can add some more length to the straps soon. Had to return. We have reached out to the customer and forwarded this review to our Product Team. Super cute overalls! I read a ton of reviews to get an idea of what size to buy, used the true fit guide, and took exact measurements to ensure I got a size that fit me. I purchased small short- based on what the site recommended. I’m 5’5 120lbs. They run extremely small. Even with the straps as long as they can go, the inseam fell above my ankle. Easily 3+inches shorter than reported on the size guide. The crotch would ride up, making them very uncomfortable to even walk in. The most disappointing thing with this purchase is the customer service and return policy. They do not offer exchanges. Therefore I had to pay $7+ to ship this item to myself and since they didn’t fit I paid an additional $9+ shipping to return with NO REFUND! I wasted so much money in shipping costs for an item that didn’t fit, based on their recommendations, without having a product that actually fit me at the end of the day. Will not be purchasing from them again. We have reached out to the customer directly and shared this input internally. I'm 5'7" & 142 lbs. I wear a 7/8 low rise wrangler jean with 36" inseam. I ordered the medium tall in this pair of bibs. They fit PERFECT. This is a fitted pair ... not relaxed like the Brewster .... but still not snug fitting. I do not recommend this pair for a person with a long torso. I do not have a long torso and have the straps let ALL the way out. While that is a good fit for me I could see it being a problem for a person with a longer torso & my suggestion to the design team would be to add 3' of strap to this product. I ordered the dark brown and LOVE the color. It works WELL with my long sleeve tshirts mostly which are a men's size small to get the longer waist and sleeve length. The color's of my long sleeve t's being mens are also solid blue's, brown's, green's, and gray's so they work WELL with the dark brown color. I work in agriculture and animal husbandry so I am outside 7 days a week in all kinds of weather. These bibs are VERY well constructed and I expect them to hold up well to my work load for several years. I am allergic to fabrics like rayon, polyester, and wool so THANK YOU Carhartt for making a COMFORTABLE cotton/spandex garmet for women with a good fit that is super cute AND affordable! This pair would also work well for people that want a bit more of a snug fit, vs relaxed fit, but that have trouble wearing jeans due to tummy trouble. Overalls can be tricky to fit-- I love that these come with different inseam lengths. The Tall fits my 5-8" frame perfectly, as I have long legs and a short waist. Can't honestly rate the durability yet as I just got them, but they seem very well made. These are the best overalls! I wear them at least once a week and they eat better with every wear. My favorite overalls!! Carhartt is getting better with womens selections. Actually have choices now, thank you! The biggest problem I have with these is that they're a little short in the torso for where I want the top of the bib to be but that's just preference! I ordered a Small Tall, being about 5'8" and wearing size 27 or between 4 and 6 in most pants. I guess these overalls weren't made for my proportions, because there doesn't seem to be a size for me. The torso was too short, even with the straps as long as possible, it still felt like it was riding up. The rest of the fit was baggy and loose through the hips and legs. They're not meant to be fitted, but it felt like I was wearing large men's pants, a lot more roomy than I expected for a size small. Not for me, and maybe not for you if you have a long torso. Super cute though! We're sorry to hear this and have shared your input with Product Design. Please feel free to contact Customer Service at 1 800 833 3118 with any questions. As a gardner these are my got to. Perfect weight that I can even wear them in the heat of summer with a tank underneath and I dont get too hot, Winter I wear long johns underneath and Im set. All the right pockets for my tools. Im on my second pair, I love them so much. I was really disappointed in the quality of these overalls compared to the same price men's overalls. I originally bought the men's overalls because the store I bought them at, didn't have women's overalls. The men's pair were heavy duty, thick, and stiff. When I traded them in the for the women's pair that was the exact same price, they are thin, soft, flimsy and nothing compared to the quality of the men's pair. I'm disappointed with Carhartt that they would sell a women's pair for the exact same price as men's and not provide the same quality. However, if you are not looking for a heavy duty overalls then this is definitely a great pair! They are really cute and fit well for someone with hips. I usually wear a 12 or 14 and I bought a L and it fits perfect. I am 5'6" and then regular pair was the perfect length. Fit was much bigger than expected, I was very disappointed. Love them! Highly recommend them to anyone! Great durable bibs. I love that they have the different inseams as well. Love these and perfect fit for my height. Absolutely love it! So surprisingly soft and very comfortable. I’d wear to school or to work on the ranch! These bibs are durable enough to withstand daily habitat restoration work, yet flexible enough to stay comfortable throughout the work day. I am in my 60s and got these for gardening, including on-the-knees weeding. They look fine for overalls but I am more concerned with function.Fit: I got the small. I am thin with long legs. The length is just right and they did not shrink when washed at all. The small is pretty big on me - I can take them off without unbuttoning the side buttons, but that makes them nice and roomy.Function: They are comfortable and cool in warm weather. I like the strap fasteners, which do not unhook themselves. I love the top zip pocket for my phone. I wish they came with a side zipper to put knee pads in easily. I use my strap-on pads but they can ride up and cause the shoulder straps on the overalls to loosen. I renovate old houses and I have been looking for functional overalls to work comfortably in. I ordered the women's version, which I ended up keeping and also ordered a pair of the men's as I thought they might have a more 'relaxed fit' and better pockets. I liked both styles, but kept the women's Crawford Double Front Bid because of the material and also the pockets. I originally ordered a medium in the women's but returned for the small. The medium fit nice in most places, but was too large in the hips (usually never an issue). The picture shown is a size medium. I am 5'5" and 130 lbs. I wore these for a week long timberframing course in Vermont. They were true to size, comfortable, and durable. Good but not perfect, wish they were comfier and longer. These are the best overalls Ive found but still leave a little bit to be desired. The stretch honestly is not much, especially if youre used to comfy stretch jeans. The elastic band on the other style would be helpful for bending, so I wonder why they took it off this style. Theyre also short and no long length is offered. Im 57 (which is not especially tall) and theyre about two inches too short for me.I understand the need for bibs to be tough but what I really want is a light cotton stretch blend for working around the house and pottery. The search continues. Just received this week and work today for the fist time. They are very comfortable and durable without being stiff or hard to work in. I love the color brown I chose too! I loved these overalls, but they are poor quality and ripped almost immediately. I work outside as a gardener, and these just did not hold up nearly long enough. 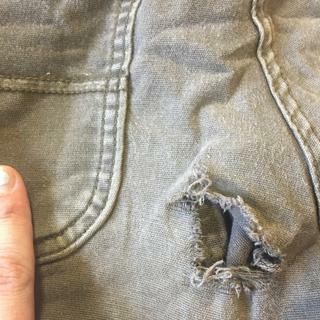 I expect some holes from what I do, but pants should at least last a month before breaking down on me. These ripped after only a few wears! Super bummed 'cause the pockets on these bibs are just perfect. Still on the search for comfortable and durable work pants! We have contacted the customer and shared the review with Quality Control. Haven’t taken them off!! ?? Love these overalls! Pretty much am living in them since I got them. Super comfy. I’m 5’2” 135/140lbs and I ordered a medium short and they fit great! No hemming needed! I volunteer at a Therapuetic Horse Riding barn and they are awesome for the chores (caring for horses, mucking, haying, etc). I also am outside a lot for work and gardening. They appear to be well constructed. Only complaint is the hardware used for the straps. I wish they had the old school button clasp. I find the ones on these r a bit cumbersome but I highly recommend these overalls!!! Since my outback coveralls were overtaken by my hubby I decided today while at my fashion superstore, to buy me a new pair. Love the lightweight, stretch high quality sewing, updated strap buckles, zip pocket in front, no more loosing my phone when I bend over, Love the double fabric knees. Love these!!!! Which I could afford another pair. You won't be disappointed. Bought a small, usually wear a size 8 pants. Small fit better. I'm 5'2" and the short fit was still a little too long. The side pockets are also deeper than the men's fit. Nice lightweight overall for summer work. super comfortable bib overalls, great for a day toiling in the soil. Thinner material than classic Carhartts means they already feel broken in and are ready to go from the start. Sizing runs large, so buy a size smaller than you would usually. Wish they had a third button along the sides. Only 2 buttons leaves large gaps and I feel like over time will be prone to easily unbuttoning accidentally. Yet I would still buy again and recommend to friends! I wanted to love them but I have a long inseam and the average pants just aren’t long enough. I read reviews thought maybe they’d fit but were way to short. Sadly had to return them. Quality bibs though and fit perfect except for the length. I’m 5ft 8 inches just with longer legs. seriously, if these came in black I'd live in them. please consider making them in different color ways. most comfortable pair of bibs ever. They are so cute that when I got them I tore the tags off and wore them. Right away after bending and moving around I regretted it. I am about 5/5 and these are just too short. I have other womens Carhartt pants that fit fine. Exactly what I need for outdoor work in garden. Zip pouch in the bib sold me on this style, and I love it. Fabric is durable but comfortable weight. I am 6’6.5”, weigh 122 and XS regular fits just right. My favorite thing in my whole closet! Currently working on getting away with wearing this everyday. They are comfy and easy no-brainer that get me stacks of compliments. Functional and cute to boot! I'm a 5'2 shorty with a longer torso, roughly 112 lbs., and a regular length XS worked perfectly. The straps are adjustable, giving ya plenty of wiggle room. Hey universe, if you are looking for gifts for me- this is it! Just Carhartt overalls in every color. Very unflattering. I’m returning them to the store. As for durability, I would guess they won’t hold up too well for me. I wear my bibs every week to work. I have the men’s version and the woman’s version. The women’s version are wearing out in the seat in both pairs. This particular pair that I am returning, I would love for the summer, as they are not as heavy as the others, but they looked horrible on me. Nice fit! The toughness I expected. I ordered these in dark brown, and the color is nice. There's a slight stretch to the fabric, which feels great when I'm squatting or crawling in the garden. The legs are pretty full - I think this is to accommodate knee pads inside. I'd prefer a slightly narrower leg to tuck into rubber boots easier, but that's getting fussy. I purchased these a little over a month ago and I'm smitten. Carhartt always runs a little large for me. 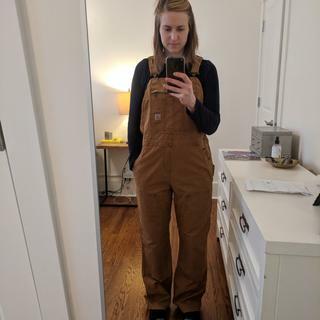 I'm 5'4" and ~125lbs and order XS in all things carhartt. These fit great, they are roomy but not so huge that I'm swimming in them. They seem to be made very well and I'll get a lot of use out of them! Already thinking about buying the darker brown, as well! I have not boughten a pair yet, but I will as soon as they make the legs on these longer! I’m 6’1” and an apprentice but need more overalls that don’t make me look like a joke. I’m not going to waste money ordering when I know they won’t fit me at all. Carhartt, you would bring in a lot more customers if you made these with 36” inseam. We appreciate your input and will share it with Product Design. Please feel free to contact us at 1 800 833 3118 if you need further assistance. Free to dig in the dirt! Tough gardening jobs include digging deep in the dirt. I used to be frustrated by pants falling down from the rear as I bent over a lot. NO more tugging at the falling pants! I'm free to concentrate on the job at hand without any wardrobe mishaps! The fabric is comfortable but not very durable. I've worn them in the shop about 4 times and the tool loops are already torn. I'm disappointed and am still searching for what to wear to work. I love these overalls! They are a wild dream. Perfect pocket placement super functional. Easy to quickly get in and out of so no worries in the bathroom. They are also the perfect length. I’m only 5’3.5” and usually need to cuff pants. Not these. Easy to adjust the shoulder strap and they aren’t aggressively long straps like other overalls I’ve owned. I ordered an 8 regular and it fits beautifully. I know what I want for Christmas, these in the other color. Love. Love. Love. Perfect fit, exactly what I expected, great quality. Nice rich brown color, a little more fitted than men's. I was sad I had to return these. I'm 5'5" and I ordered a Medium. WAY too short. I had the suspenders at the longest length to try to make up for it, but ultimately for the money spent I would prefer my clothes to fit. I may try to order them in a long and just hem them. But I was surprised as I'm not exactly tall. Returns aren't free, nor do they just have an exchange option so I ended up losing 20 bucks on this just to send them back. If I reorder I have to pay for shipping again! Nice, but short. Women are tall carhartt!! I'm a size 8L in American eagle Jean's. I'm 5"8 and about 145 pounds. Normally I wear large clothing, the web says I should do a medium tall but there is alot of comments saying a small would be better. True or not? Or should I just be safe and go with a medium tall? BEST ANSWER: Our sizes are based on chest and waist measurements. Feel free to contact us if we can be of further assistance at 800-833-3118. BEST ANSWER: This style will weigh 1.6-1.9 lbs depending on size. I tried on a women's bib in the store and I think it was this one. The fabric was so thin and dinky compared to the men's overalls, like it would get a hole in it within a year. Why can't the women's overalls have the same durable fabric but just be fitted better for women? BEST ANSWER: We appreciate your input and are sorry to hear of any concerns you experienced with your bibs. Our women's gear should be just as durable as the men's gear. Please note, this style is an 8 ounce fabric so it is lighter by design. You may like style 102966, which is a 12 ounce weathered duck. Does the crawford tall size overall (for women) have a longer bib as well as a longer inseam? I ordered a medium and the hip/waist/bust measurements were perfect but even with the straps all the way extended the bib was too short(so it was too tight in the crotch). The legs were also a bit short. I was thinking of ordering a medium tall but want to make sure the bib will be long enough. BEST ANSWER: The bib length would not change if the inseam length is changed. This would remain the same but the inseam would be longer if purchased in a tall instead of regular. Do these ever come in black? BEST ANSWER: No; this style is only available in Black and Carhartt Brown. When will the longer inseam option be available? BEST ANSWER: Tall sizes will be available for Fall 2018. What is the width of the bottom of the leg on a large pair? BEST ANSWER: In size Large, the leg opening is about 19 1/4" around. What knee pads do you recommend to use with these. How do you get them inserted in leg? BEST ANSWER: You are welcome to purchase them at any retailer. We have customers who have purchased from safeworker.com. The knee pad would need to be folded to enter the opening and then adjusted once it is in. are these bibs "pre-Washed" ? as in softer than traditional Carharts? BEST ANSWER: This garment is a 8-ounce, 98% cotton/2% spandex canvas with Rugged Flex technology. It is lighter in weight and more pliable that our traditional 12 ounce firm duck. Why does the dark brown look so dark? BEST ANSWER: Dark brown is a fairly dark, chocolate color. It may look a little darker depending on the lighting in the photograph or the settings on your screen. BEST ANSWER: We do not offer this style in a purple color at this time. We are working on expanding out women's line and hope to have more color options available in the future. What happened to the purple color? I saw a picture and LOVE it but can’t find it on the website? BEST ANSWER: We apologize that this is not made in a purple color. You may have seen it in a dark brown; depending on the lighting in the picture and how old the bibs were, it may have looked a bit purply. When will more small regular be in stock? BEST ANSWER: We expect more in early April. Thanks for the reply, but 102740 are lined overalls made for cold weather. I'm looking for lighter ones for warmer weather. I wish Carhartt had more consistency in sizing as it appears some of your pants are made with "regular" length being 30" and others have a "regular" length of 32". This frustrates loyal customers. Please see style 102357. It comes in 30, 32, and 34" inseams. Which ones are suitable for cold weather? BEST ANSWER: We plan to restock it around the middle of January 2018. BEST ANSWER: They should not shrink more than 2-4% throughout the life of the overalls as long as the care instructions are followed. If I plan on wearing these over other cloths should I size up or stick to the true fit size? BEST ANSWER: The Crawford 102438 measurement guide assumes you will be wearing this with a shirt and undergarments. If you plant to layer over pants, you may need to size up. The size guide for the Weathered Duck Bib 102743 assumes you will be wearing this over cold weather clothing. BEST ANSWER: No, they are not. If you are looking for a lined women's overall, please see style # 102743. Hello! 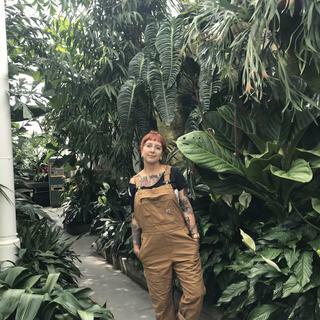 I am interested in these overalls, but unsure of what size to get. I am 5'7" and 150 pounds, fairly athletic build. I normally wear a size 8 in Old Navy & Levi's jeans. What size would be best for me? I'm torn between getting a regular medium or regular large. BEST ANSWER: Our sizes are based on chest and waist measurements. Feel free to contact us with your measurements for assistance. I was wondering if you ever plan to carry long lengths? BEST ANSWER: We apologize, we do not show that we plan to offer this style in tall this coming season. We are happy to forward this as a suggestion to our Product Design team. What inseam lengths are available for the Crawford Bibs? Is the XS Regular a standard 30" inseam, or is it available in a 32", too? BEST ANSWER: The short is 28 inches and the regular is 30 inches. We offer XS in both inseams. (When) will there be more small short sizes in Carhartt Brown color? Thanks. If you are not making more, please reconsider. BEST ANSWER: We plan to restock small short this December 2017. BEST ANSWER: We apologize for any confusion. On this particular garment, the short inseam is 28," the regular is 30," and the tall is 32." I have the short, inseam is 28. I'm 5'2" and I had to completely extend the shoulder straps. I can't say for sure, but it feels like my regular bibs are a 30" inseam. Will XS sizes (short or regular) be in stock again? BEST ANSWER: We plan to restock XS Short around the end of August 2017 and XS Regular around the end of June 2017 in the Dark Brown. We do not plan to replenish stock of the Carhartt Brown. I don't understand the difference between Short and Regular. Can someone explain? Thanks! BEST ANSWER: Short is 30", Regular is 32"
Short is an inseam of 30" and Regular is an inseam 32" according to their size chart. I am planning to farm through the summer in Minnesota and most likely to be in my first and second trimester during the farming season. I'm usually a size 4 with a 30 inch inseam and 5'6". What size would you recommend for the summer? BEST ANSWER: The size that you will need is going to be based off of your chest and waist measurements. If you normally wear a size 4 that is a Small (4/6) which is recommended for a bust of 34-35 and waist of 28-29. We recommend a Medium (8/10) for a bust of 36-37 and waist of 30-31. If you have any questions regarding the actual measurements for this item, please feel free to contact our Customer Service Department at 1-800-833-3118 Monday-Friday 8am-9pm or Saturday 9am-5pm EST. Thank you for choosing Carhartt! Im 5' 1¨ what size fit me? BEST ANSWER: The Short inseam is 28 inches and the Regular inseam is 30 inches. Our sizes are based on chest and waist measurements. You are welcome to use the Size and Fit Guide to determine a size. We are happy to assist with sizing as well, feel free to contact us for further assistance. 5'2" here and I ended up getting the 'Small (Short)' size. The length is perfect to wear with boots. They do come up a little when I sit down or crouch but it's better than too long of pants that will drag and get ruined quickly. how heavy are these bibs? working in the summer outside, will they be too hot? BEST ANSWER: They are actually lighter than I thought they would be, I don't think they will be as hot as blue jeans are in the summer, so I think they will work great in the summer. These are lightweight and the fabric is soft and comfortable. However, I used to work outside in the summers in south Texas and I wouldn't wear these if you are going to work in outdoor temperatures above 80 degrees. I currently work in a coastal area and the weather is mild/cooler so these are perfect. It depends where you live... in Phoenix, AZ in the summer they would be wayyyy too hot. The are not thick at all, so I would say comfortable/tolerable in temps below 85-90. They're not the heavy canvas of the other bibs, they're much lighter cotton with a little stretch. For overalls, they're pretty light. They are a lighter weight than most jeans. They have a bit of stretch. I find them to be very comfortable. Material breathes well. They are not that heavy. Comfortable enough to work in it the summer..